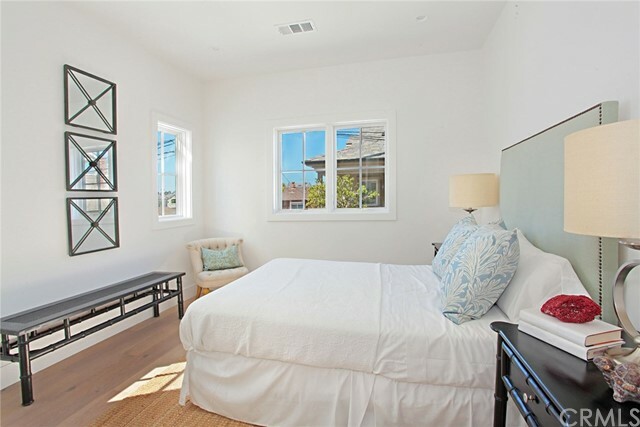 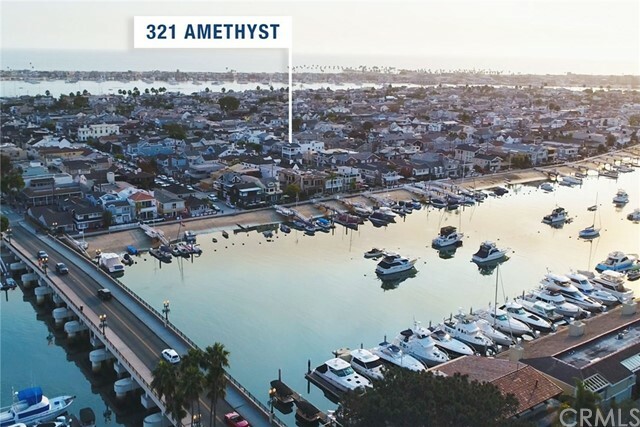 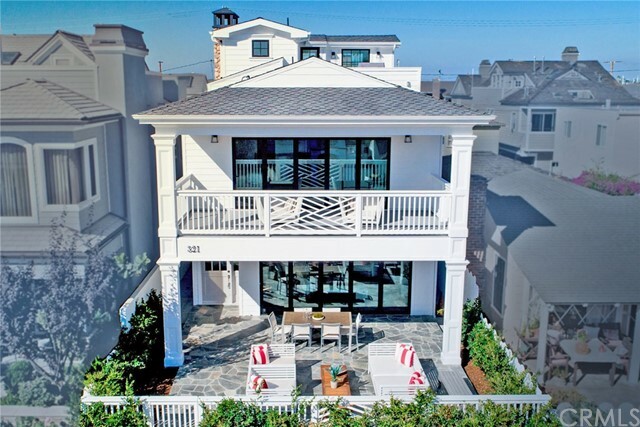 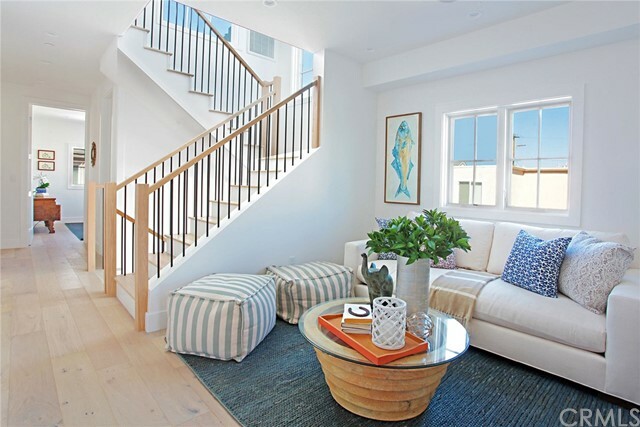 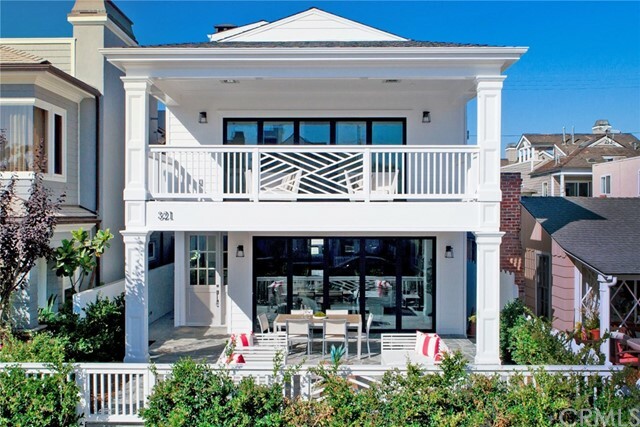 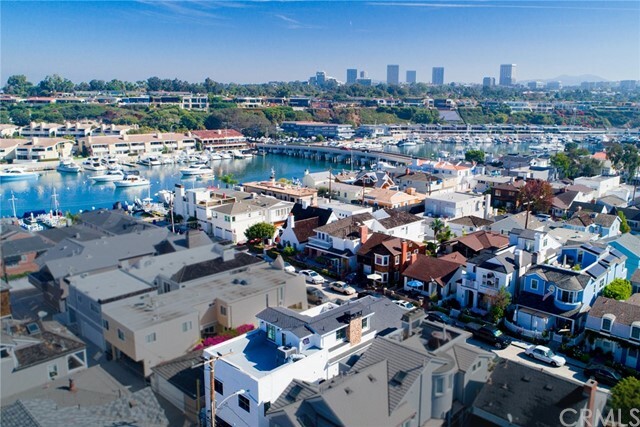 Eastern Seaboard meets West Coast on Balboa Island in this brand new 3 bedroom, 5 bath home perfectly located in the Bayfront-close 300 block of Amethyst Avenue. 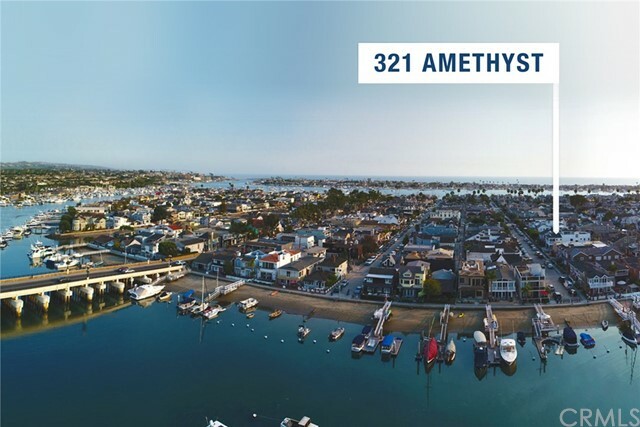 321 Amethyst has all amenities sought by today’s buyers: wide planked “Vita-Sea” white oak floors, counters of Calacatta Blanco quartz & Pietra Grigio stone, Newport Brass polished nickel bath and door hardware, designer lighting, central AC and Nest system, a “smart” home system, and ELEVATOR to all 3 floors. 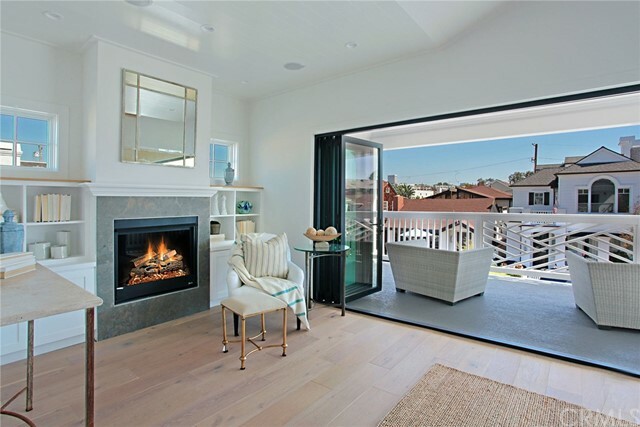 Enter the home through a Dutch door or LaCantina folding doors spanning the entire front of the home. 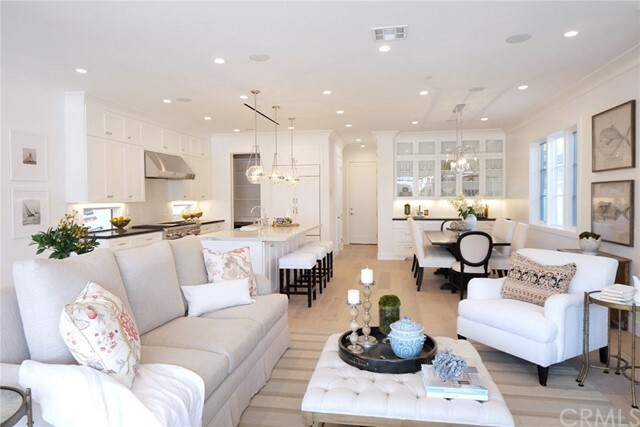 The great room features a magnificent chef’s kitchen with 6-burner Wolf range and oven, SubZero paneled refrigerator, walk-in pantry, farm sink and eating Island; dining room with beautiful chandelier & shaker-style cabinets and living room with cozy fireplace. 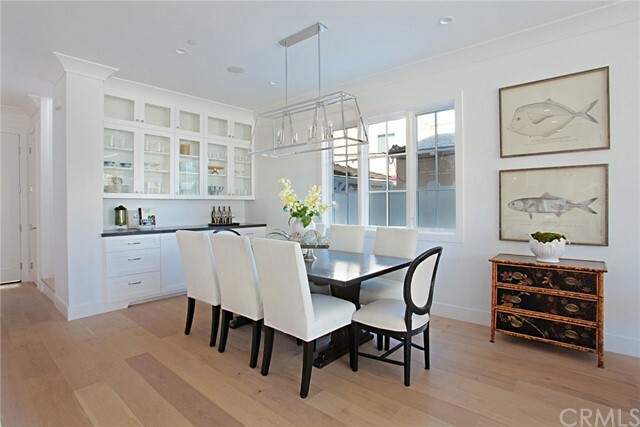 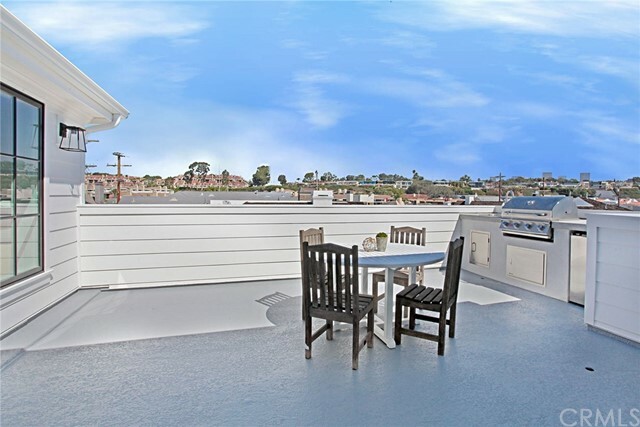 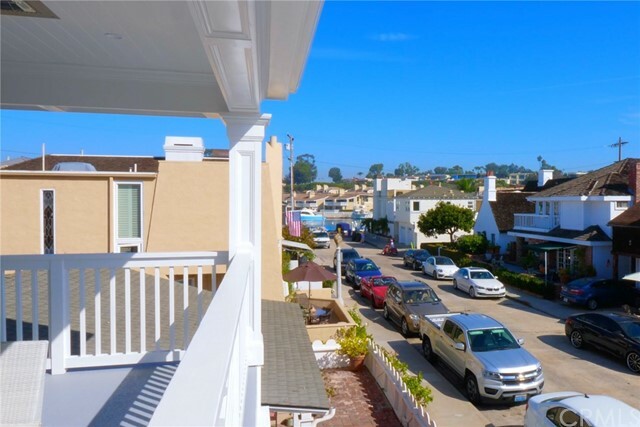 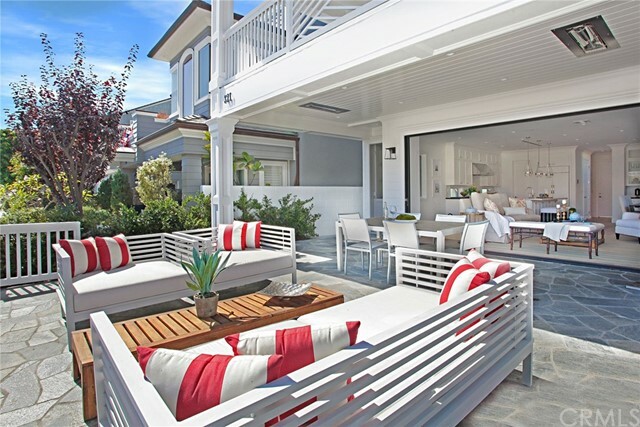 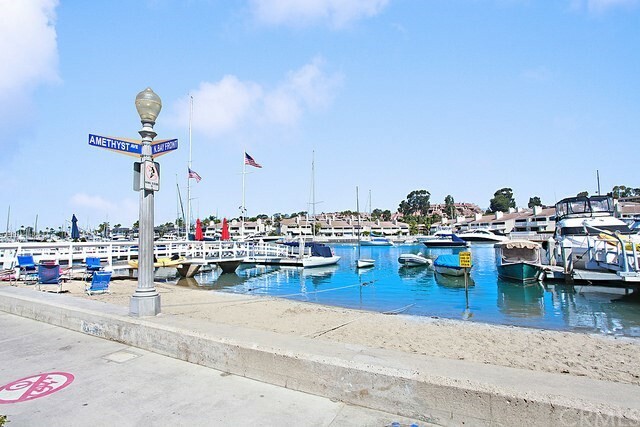 Enjoy one of the largest front patios on Balboa Island w/stone flooring and overhead heaters adjacent to the great room. 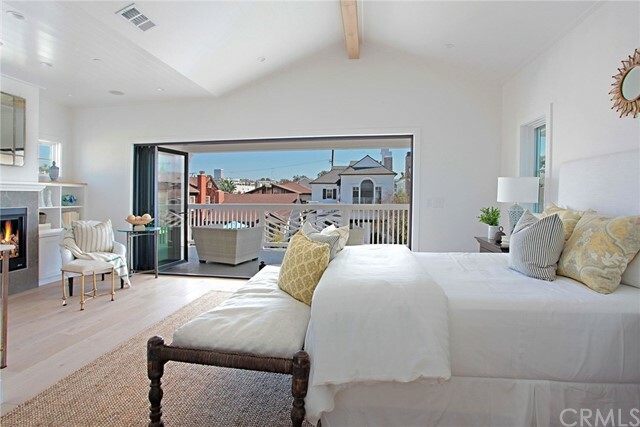 The second level has a master bedroom suite, 2 guest bedrooms, one ensuite, & an open entertainment lounge. 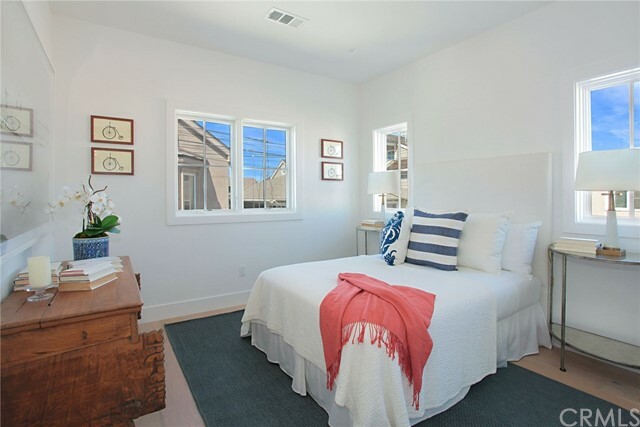 The master bedroom showcases beamed ceilings, fireplace w/seating area, large closet, and LaCantina doors opening to a huge outdoor covered patio. 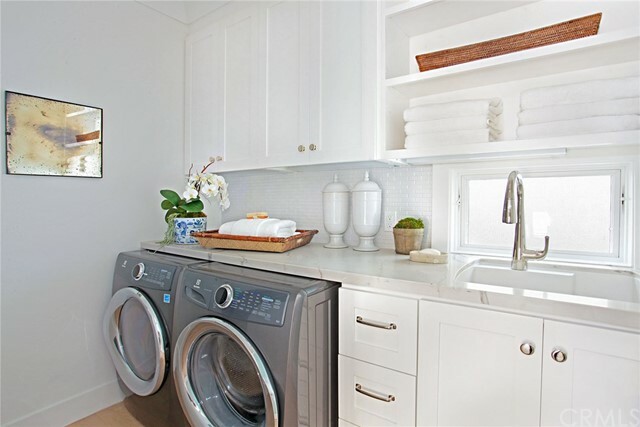 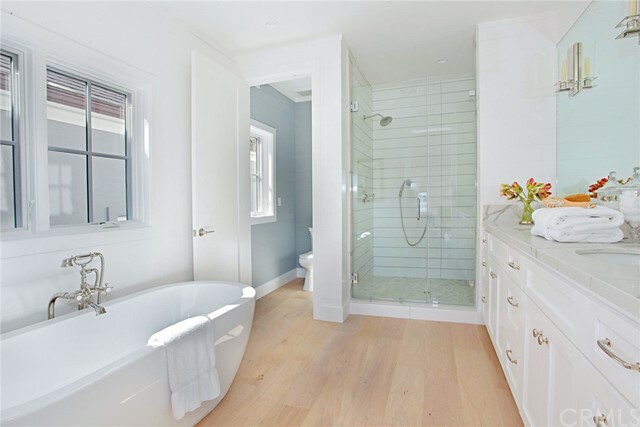 The master bath is spa quality with an oversized shower & separate soaking claw tub. 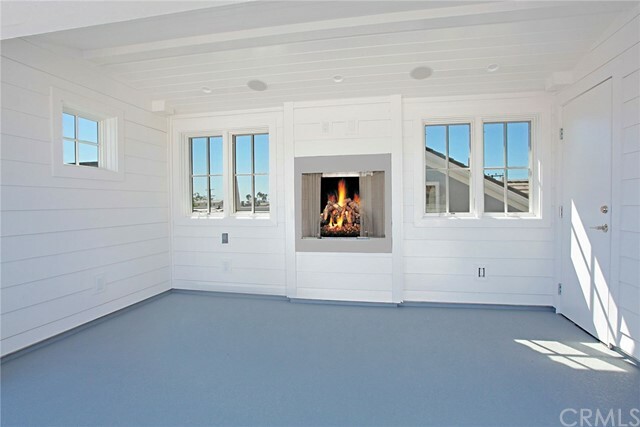 The third level has two deck spaces, one with a covered loggia w/fireplace and an open area w/built-in BBQ and refrigerator. 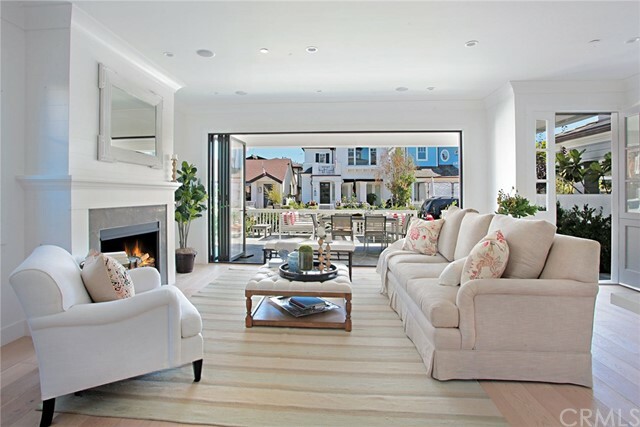 Wonderful City light & mountain views complete this incomparable home!